The amazing condominiums at Carolina Yacht Landing represent a way of life that few resorts offer, even in Myrtle Beach. From the exquisite luxury accommodations to the amenities and location, these condos in Little River are a boat and water lover's dream come true. Tucked away in Little River, you'll find the low traffic area that many residents never see. You're only about a mile north of Cherry Grove and in easy reach of all the excitement, restaurants, and beach atmosphere in North Myrtle Beach. 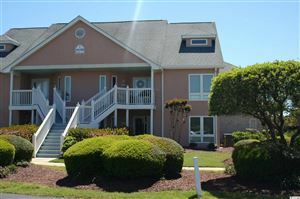 Carolina Yacht Landing is also near a full-service hospital, many golf courses and stores. Expect to have all the benefits of small-town living with the option of nightlife when you want it. Carolina Yacht Landing is a gated community with two large pools, water views, a lake with fishing access, a fitness center, residents’ clubhouse, boat slips, boat storage and elevators! One bedroom units are in the mid $60k range with three bedroom units beginning around $150k. As the #1 selling real estate agency along the Grand Strand, RE/MAX Southern Shores agents can assist you with purchasing a condo or investment property at Carolina Yacht Landing that is suited to your needs. RE/MAX Southern Shores invites you to access listings for condos by using the search features on the left of this website. Then call a RE/MAX Southern Shores agent at 843-839-0200 for personal attention to find the housing option that is just right for YOU! It is no wonder that so many buyers choose Carolina Yacht Landing condos in North Myrtle Beach as the location of their new home. All one has to do is take a drive through the community to see all Little River has to offer. RE/MAX Southern Shores real estate agents are very familiar with the Inlet area in which the condos are located, and we would be happy to take you on a tour of this subdivision as well as any Little River community. Simply give us a call at 843-839-0200 to schedule some time to make your real estate dreams come true! RE/MAX Southern Shores’ reputation has been built upon unsurpassed customer service. RE/MAX Southern Shores agents focus on YOUR wants and needs related to the home buying/selling process. Contact RE/MAX Southern Shores at 843-839-0200 regarding Carolina Yacht Landing or any Grand Strand MLS listing. One of our expert agents can assist you in locating and purchasing any listed real estate property that it perfect for YOU. If you have been dreaming of beach living and want one of the locations close to the ocean, Carolina Yacht Landing condos are the ideal neighborhood for you. Contact RE/MAX Southern Shores today at 843-839-0200 to talk with an agent about making Carolina Yacht Landing your next home!